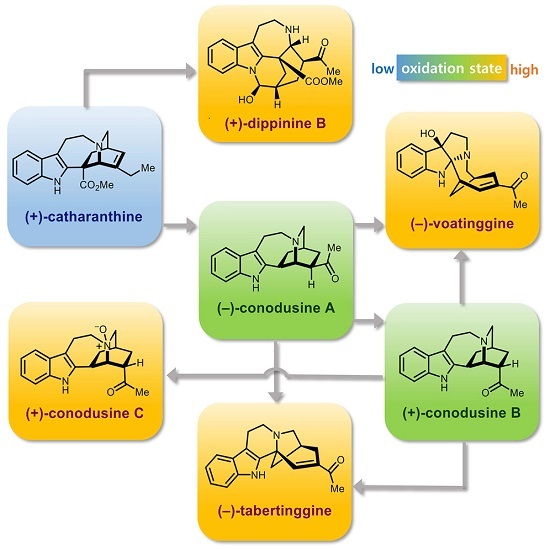 KAIST chemists have synthesized seven different iboga and post-iboga natural products from commercially available catharanthine by mirroring nature’s biosynthetic post-modification of the iboga skeleton. They devised a novel strategy to biosynthesize the natural products via a series of selective and efficient oxidation and rearrangement reactions. This will serve as a stepping stone for developing therapeutic medications against cancer and narcotics addiction. The research team, led by Professor Sunkyu Han, conceptualized and coined the term “Post-Iboga” alkaloids to describe the natural products that are biosynthetically derived from iboga-type alkaloids, which are composed of rearranged indole and/or isoquinuclidine backbones. Iboga alkaloids have attracted significant attention from the scientific community due to their intriguing polycyclic structures and potential therapeutic uses against drug addictions. Nature has evolved to add architectural repertoires to this family of secondary metabolites by diversifying the iboga frameworks. Notable examples are the FDA-approved anticancer drugs vinblastine and vincristine, both derived by the oxidative dimerization of catharanthine and vindoline subunits. Admittedly, synthetic foci toward the biosynthetic iboga-derivatives have historically been on these aforementioned dimeric natural products. Recent natural product isolation studies on Tabernaemontana corymbosa and Ervatamia officinalis species have resulted in discoveries of various secondary metabolites that are biosynthetically derived from iboga alkaloids. These recent outbursts of iboga-derived natural product isolation reports have kindled interests toward these family of natural products. The research team utilized (+)-catharanthine, the starting material for the industrial production of the anticancer drug Navelbine®. Well-orchestrated oxidations at the C19 position and the indole moiety of the catharanthine derivative, followed by differential rearrangements under acidic conditions, provided synthetic samples of voatinggine and tabertinggine respectively. On the other hand, opportune oxidations at the C19 position and the alpha position of the tertiary amine moiety of the catharantine derivative, followed by a transhemiaminalization, produced the first synthetic sample of chippiine/dippinine-type natural product, dippinine B. It is important to note that the chippiine and dippinine-type alkaloids have been targeted among synthetic chemists for over 30 years but had not succumbed to synthesis prior to this report. Professor Han believes that their study will serve as a blueprint for further explorations of the synthesis, biosynthesis, and pharmacology of this emerging family of natural products. This study was published in Chem on November 15, 2018 (DOI: 10.1016/j.chempr.2018.10.009).